materials, techniques, and concepts with regard to subject matter. 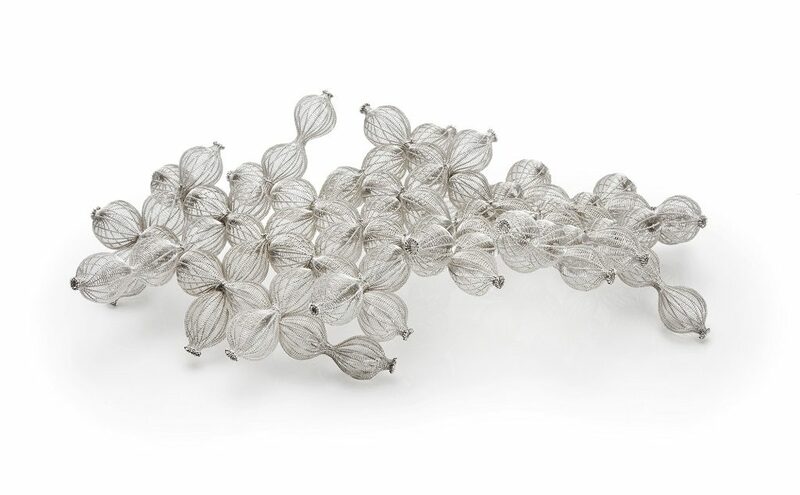 The exhibition pieces cover a broad spectrum of forms and impressively reflect the current trends in the silversmith scene. In addition to nonfunctional objects, there are utilitarian works. Two objects made by Maja Houtman were chosen for the exhibition of the 17. Silber Triennale – Silver Triennial. The dish titled Levitatum and the object Bobelokaptilo. A bilingual catalog (German/English) by Arnoldsche Art Publishers, Stuttgart, accompanied the exhibition. This publication has 192 pages and 100 color illustrations. Deutsches Goldschmiedehaus in Hanau in cooperation with the City of Hanau. 00.02.2014 – 00.02.2014 : Inhorgenta Munich, München (D). This entry was posted in Exhibitions on 13-04-2013 by Janjaap.